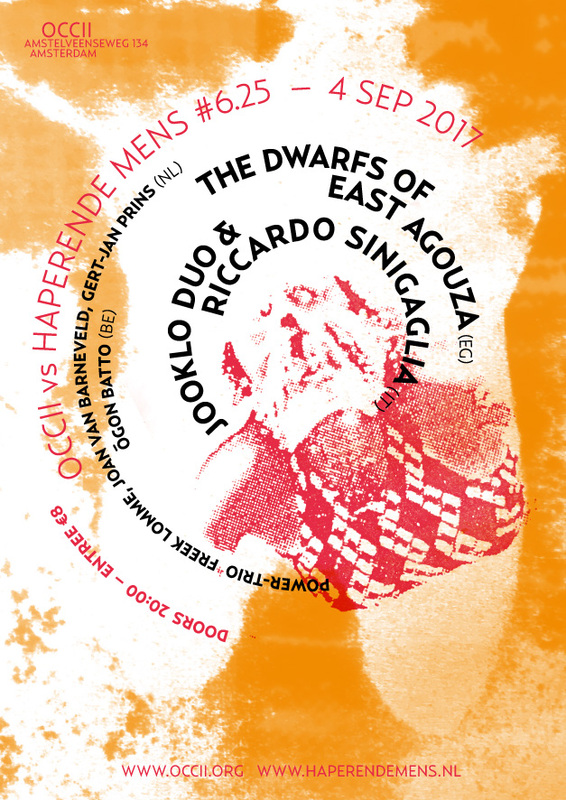 Haperende Mens, points out extreme, disruptive and overwhelming art and music that makes life worth living – Haperende Mens festival, concerts, exhibitions. new LP on Aguirre OUT SOOON! Antwerp resident Bent Von Bent and co-runner of the Hare akedod label, Limited Edition Cassettes and Electro-Acoustic Improvisation Rituals. new LP on Aguirre records OUT SOOON! This 7” is made by powertrio Freek Lomme (word), Joan van Barneveld (guitar) en Gert-Jan Prins (drums). Label: de Player, Rotterdam, NL. The Dwarfs Of East Agouza is a trio from Cairo formed in 2012 by MAURICE LOUCA (Alif, Bikya) on keyboards/electronics, SAM SHALABI (Land of Kush, Shalabi Effect) on electric guitar/synth and ALAN BISHOP (guitar/saxophone/vocals) of Sublime Frequencies & Sun City Girls fame. 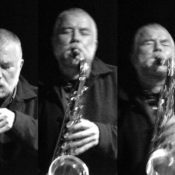 The group utilizes improvisation to propel their unique and hypnotic musical vision. In 2016 debut album Bes was released on Nawa Recordings followed by a EU Tour including performances at CTM Festival, Clandestino Festival, Jazz Jantar Festival, Le Guess Who? and Unsound Festival amongst others.